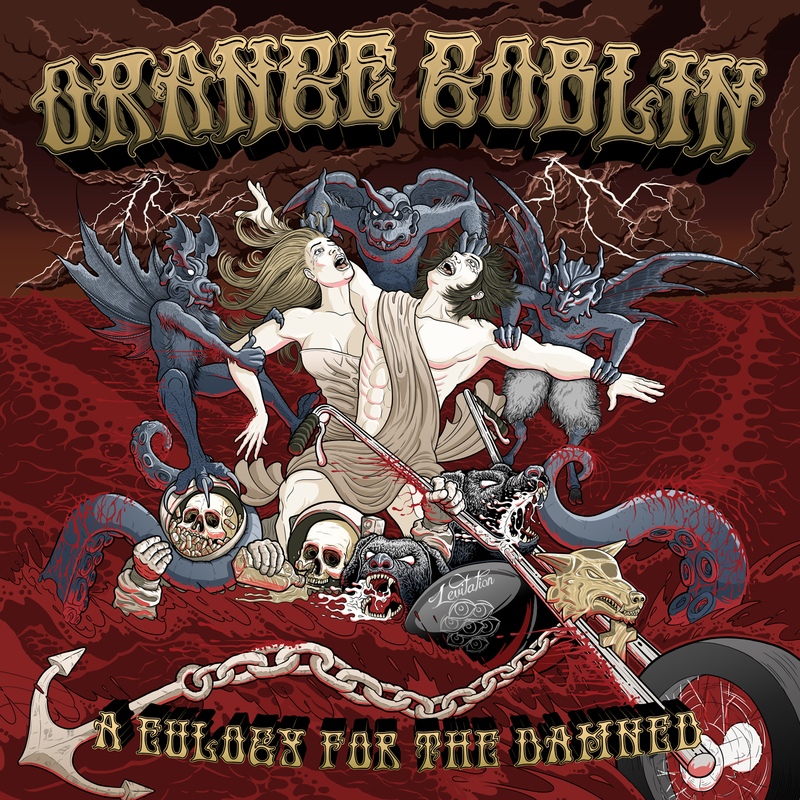 If you like your rock with a spliff hanging out its mouth and a beer in its hand, then Orange Goblin may be the band for you. 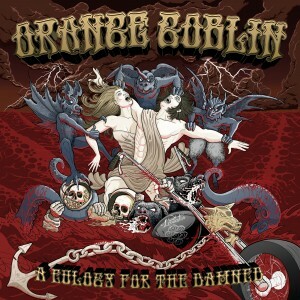 Returning with their seventh studio album entitled ‘A Eulogy For The Damned’, they are ready to tear it up, Goblin style. ‘Red Tide Rising’ washes over you with groove instantly. Subtly gravel toned front man Ben Ward kills it on this album, his vocals just hit that sweet spot consistently. The pace found within ‘Stand For Something’ gets your foot tapping and your head starts up the ‘stoner-nod’ before you even notice. “You’ve got to stand for something, or you’re gonna fall for nothing!” rings out and I think it is a safe assumption that crowds will love this track live. Joe Hoare rolls in with style in ‘Acid Trial’, every riff just drips off that guitar and flows perfectly. Having Martyn Millard and Christopher Turner backing him up works well; the rhythm online slots and tone within each track just melds so effortlessly. ‘The Filthy And The Few’ has some sweet guitar work on it, edging more towards the metal styling than the stoner buzz. It somewhat slows a little with ‘Save Me From Myself’, before ‘The Fog’ and ‘Return To Mars’ pick up the pace and casino online displays the band’s brilliantly grinding pace. ‘Death Of Aquarius’ is laden with groove and swing, whilst ‘The Bishops Wolf’ is probably my stand out track of the album, this song sounds like it’s from the dirty south of the USA, opposed to some recording studio in the UK. The album closes with the grimy headbanger of a title track, ‘A Eulogy for the Damned’ does it well and you sink into its stoner haze. This band have won a spot on my list of bands to see this summer, with my sunglasses on and a whiskey in hand, I will see you there lads. ‘A Eulogy For The Damned’ is a must have album for anyone who likes their stoner rock tinged with some traditional metal elements, groovy.